The Madigan family relocates to Munich, where another long-buried mystery awaits them in the second of a series aimed at preteen readers. Fourteen-year-old Ellen Madigan senses there’s a mystery to be solved as soon as she enters the house her family has rented for the year in Munich. Ellen is learning to trust her psychic ability, awakened in her previous adventure, which connects her to people from the past. New readers to the series shouldn’t worry; Mularz (Upheavals at Cuma, 2014) gives enough background information to keep them from feeling lost. Ellen soon learns that two young women died in the basement of the house during a bombing raid in World War II. But when she begins dreaming of one of the women, Liesi Falke, Ellen senses there is more to her story. With the help of Basti Hofstetter, the handsome boy next door, Ellen discovers that Liesi and her friend were medical students helping transport young children to the countryside, out of the reach of the Nazis. The two girls faked their deaths to escape Germany, but there the trail goes cold. As she tracks down clues to their fates, Ellen immerses herself in local culture, learning the language and trying new foods and traditions. 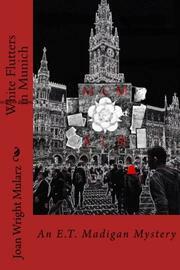 Mularz sensitively addresses Germany’s Nazi history, emphasizing the complicated feelings of present-day Germans about their past. “Hitler haunts us,” Basti tells Ellen. Ellen’s dreams depict Nazi Germany and reveal a little-known aspect of the resistance movement. While she unravels the historical mystery, Ellen juggles her growing crush on Basti and her desire to become more independent. A confident girl who loves science, Ellen is a terrific role model, but her natural doubts and insecurities also make her relatable. Occasionally, her psychic abilities too conveniently reveal the next clue, but a hefty amount of old-fashioned detective work provides balance. Digging into family secrets proves surprisingly suspenseful, and the end packs a satisfying emotional punch. A captivating read infused with a sense of history and culture.